In the aviation industry, sales are based on trust, and since we’re not all local to each other, relationships are often started (or continued) with outbound sales calls. Since you have to do them, you might as well get good at making them! Announcer: You’re listening to Aviation Marketing Hangar Flying. 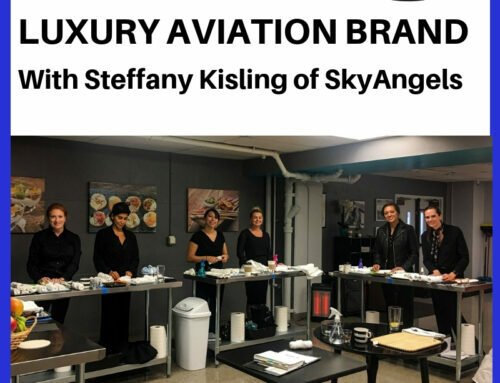 The community for the best sales and marketing professionals in the aviation industry. You can’t learn to fly just from a book. You learn from other pilots who know the tools, the skills, and the territory. Your hosts, John and Paula Williams, are your sales and marketing test pilots. Paula Williams: Welcome to Aviation Marketing Hangar Flying episode number 103, outbound sales calls. Paula Williams: Yeah, 102 was inbound sales calls. So if that’s what you’re looking for, you’re not very far. [LAUGH] But I’m Paula Williams. Paula Williams: Absolutely, so if you have any questions, comments or concerns about this or any other episode you can use the #AvGeekMarketing, and we will be happy to find it and reply to you as quickly as possible. So that’s on pretty much any social media. We usually use Facebook, Twitter, Instagram, that sort of thing. We use standard ones. We’re not really much into the Snapchats, and other crazy stuff that all the kids are. So, but on the big three, we’ll find your comment and reply. All right, so big ideas. Outbound sales calls are my favorite thing in the world, and I’m being really sarcastic right here. John Williams: [LAUGH] I was gonna say, who are you, and what did you do with Paula? Paula Williams: [LAUGH] Exactly. This is not my favorite thing, but I have reconciled myself to the fact that in this industry, in particular, it is necessary. So outbound sales calls are sometimes, as in usually, necessary in the aviation industry. And the only people that we know that have been really successful without doing sales calls are people who are selling fairly inexpensive software downloads, you know through iTunes and those kinds of things. 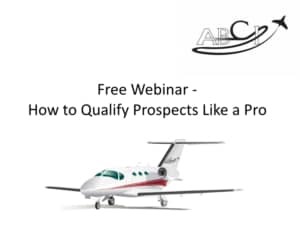 So there’s always an exception to every rule, but if you’re selling a product or service in the aviation industry, there is usually a really high trust barrier. People buy from people rather than from companies, and there is really no alternative to reaching out and touching someone, as they used to say in the phone book commercials, right? John Williams: Yeah, right. But we had one client that has 65 total possible customers. John Williams: And I don’t know that they made outbound calls, I think the customers all called them. Paula Williams: If you have 65 outbound customers you should call every one of them because you have a very small chance of hitting them at the right time. John Williams: Well, I don’t think anybody else is doing what they did. Paula Williams: Yeah, and you really needed to make sure that they knew who you were and what you did. And calling to introduce yourself is not a terrible thing if you’ve got a really small audience. John Williams: Yeah, except that they were already in business. John Williams: So they knew everybody, and the only time they had business is when they were called by their customers. Paula Williams: Right, but if you’re new in that business, you better be calling to introduce yourself. John Williams: Yeah, no joke. Paula Williams: Okay, second point, there is never any reason to make a cold call. You agree? Paula Williams: Exactly. And then the third point is, don’t be scared! John Williams: You’re a poet and didn’t know it. Paula Williams: Absolutely, so we’ll tell you how to prepare for those sales calls so that it reduces the fear factor on your side and everything else. So actually to start with that, the number one most common reason aviation companies don’t reach their sales goals is because they don’t make those outbound calls. John Williams: And that’s crazy because the phone can’t hurt you. John Williams: Well I supposed if it got struck by lightning, but even so, I mean, you know. Paula Williams: Right, but I think we all have this fear of, and for me it’s that first five or ten seconds on the phone with somebody where they’re suspicious of you. They think you’re some horrible telemarketer or somebody that they’re going to have to hang up on. And getting through that first layer of distrust is difficult. But the more relaxed you are, the better it works, right? John Williams: Yeah, not like these AI things that call you and start talking and hammering right away. You call, you get somebody, and say, hi. John Williams: My name is. John Williams: Do you have a couple of minutes? Paula Williams: Exactly, but honestly all of the horrible telemarketers, and all of the AI dialers, and all of those things are making it a lot worse for the rest of us. Paula Williams: Because everybody is really suspicious, including me. Every time you pick up the phone you’re wondering am I talking to a human or am I talking to a robot? And is this somebody that I wanna talk to, or is this somebody that is just trying to sell me something, as they say. And if they’re just trying to sell me something, is it somebody I wanna listen to anyway? Because they actually may be somebody that can help me with a problem, or whatever. Paula Williams: Right, okay. So let’s start with a fairly typical marketing situation, and how we try to make this easier for the people that we work with. Paula Williams: Yeah, it puts you in a totally different situation in a sales call, or in a conversation when they’re calling you, than if you’re calling them. But the next best thing to that is to have them request information from you. So what we like to do is have something called a lead magnet. 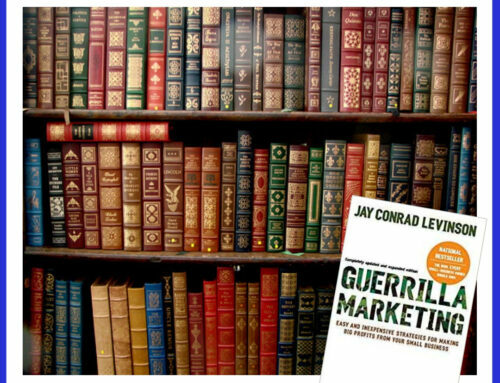 This is one of our very favorite marketing techniques where we build something like a one page tip sheet or a four page user guide or something like that. That people really want, people who are in the market for your product or service. So maybe four reasons you should recondition your stand rather than buying a new one. Or four reasons that you should, or ten questions you should ask before you hire somebody to do flight training, those kinds of things. And that buyers guide is something that’s really attractive to your prospective customers. Now how do you get that in front of them? There’s lots of ways. You can use SEO, you can use a podcast like this one, you can use social media posts and ads, you can use conventions and events, public speaking. You can go on for days, magazine ads, email broadcast, whatever it takes to get people to notice your tip sheet or your buyers guide or whatever it is that you have. They fill out a little form on our web page requesting it, we call it a landing page. Fairly simple to do. We capture their information and now you have a prospect’s information, right? Paula Williams: Okay, so now you have a name, email, and a phone number. So now what? John Williams: Well, before we get to now what, people ask well. How do you know that you’re going to get anybody to do that? John Williams: And that’s why you have a well designed web page, and that’s why you have SEO, and that’s why you do all those marketing things. So that people will see that and fill it out. John Williams: And it’s a numbers game. Paula Williams: Well, and it also depends very heavily on, number one, a really good title for your lead magnet that people really want in them. So that’s something that people really find attractive. And the second thing to do is to do some really good advertising and targeting so that you’re getting it in front of the right people at the right time. 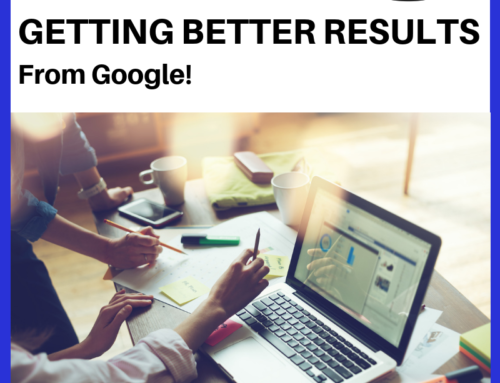 And social media is a really good way to do that, SEO is a really good way to do that. Public speaking is a really good way to do that. We’ve gotten people to download, well, 30 or 40 people in audience of about 50 to download a tip sheet, while we’re speaking to them. Tell them if you want the cheat sheet to what we’re talking about right now, go to this webpage and fill out this form. And we’ve had people do that while we’re up there speaking. John Williams: That’s right, we did [LAUGH]. Paula Williams: And that worked out really, really well but it has to be something that’s really relevant to your audience and has a great title. So that’s how you increase your odds on that. So, let’s say you’ve done that. John Williams: [LAUGH] Now you have this stuff. Paula Williams: [LAUGH] Exactly. And now you have the name, and email, and a phone number for someone that just pinged in from your website. John Williams: Yeah, a little bit of research wouldn’t hurt to figure out who you’re gonna be talking to. Paula Williams: Exactly, from an email, a name, and a phone number, there is this fabulous invention called Google, right? Paula Williams: And there’s this other fabulous invention called LinkedIn. And just about everybody in the aviation industry who is actually doing business, you’ll find them one way or another. You’re either going to find a website for their company, or you’re going to find their profile on LinkedIn, or you can trace their number at least back to find the city. There’s lots of things that you can find just from those three pieces of information. John Williams: And if you can’t find them then you are suspicious of the fact that they’re a real entity. Paula Williams: Exactly, and you’ll get some unreal entities. [LAUGH] Because to your lead fact that that’s just kind of par for the course. There’s always some wise acres or weirdos out there that don’t want to give you information. Or they’re just too suspicious to give you real information. There’s ways to handle that too. You can say, I’m going to send this to you by email so you have to give me your real email address if you want the goodies, right? Paula Williams: Okay, so, assuming you have a real name, a real email, and a real phone number, which may or may not be true but you can figure that out within ten minutes on Google and/or LinkedIn right? Okay, let me tell you another way that we like to get inbound information that we can help with our sales calls, and that is website intelligence that we get. This is a piece of software that we use in our digital marketing package. That gives us some pretty good information from who has visited our website and what pages did they visit. So now I can see that somebody from Penton, the Penton Company, went to our website on October 17th and they visited twice, one visit was longer than the other. They spent 6 minutes and 22 seconds. And they visited our homepage. From there they went to our news page and then our about page. And then they went to one of our tip sheets and they downloaded it. So that’s quite a bit of information. If I know somebody at Penton that I’ve been talking to or if I’m connected to somebody on LinkedIn from Penton, that’s a pretty good place to start. And also if they filled out that little form on the tip sheet, that completes my information, it gives me their name and phone number, and email address. So now I know what they’re interested in, and approximately how interested they are, right? Paula Williams: And then what? Paula Williams: So, all of this information really makes me feel a whole lot better about picking up the phone. Because, part of the fear comes from uncertainty, I don’t know if this is somebody that wants to talk to me. But, if I know that they wanted to know about some of the news articles that we had done lately. And I know they wanted to know about ABCI, and I know that they read that because they spent quite a bit of time on that page. I don’t have to tell them all that, they all ready know who I am. So when I get to the phone with them, I can figure out what tip sheet they were after, and talk to them about that particular piece of information. 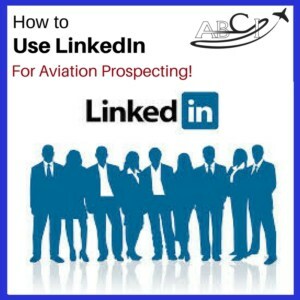 All right, another thing is LinkedIn, and we talked about this, touched on this just briefly, but we also have a tip sheet for LinkedIn prospecting. So even if you don’t have people coming to you, you can find out more about the people that you need to contact by using LinkedIn. And we’ve got a nice little process that we go through to find people at a particular company in a particular position, find out as much as we can about them, figure out a couple of opening talking points. Like I said, it’s usually that first 15 seconds that’s the problem. So, if you got a good opening question, it makes you feel a whole lot more competent, which comes across on the phone, right? Paula Williams: Okay, so I’m not picking up the phone to somebody that I have no clue who they are or what they do, what they are interested in, or anything else, and I have no idea what I’m going to say to them. That’s really where the fear comes from. So, if you know all those things and you also know that their kid plays soccer, because you’ve traced it down to maybe a Facebook profile. Or that they went to school at the University of Utah, where I went, then I’ve got something to talk to them about. And I feel a whole lot more comfortable with this person, because this is a real person. This is not just a lead, as they say, right? Paula Williams: Okay, I hope you have too. So what is the difference between salad and garbage? Paula Williams: [LAUGH] Exactly, that’s a quote from Dan Kennedy. He always talks about this over lunch. We’re sitting there eating salads and going ew, [LAUGH] and he’s right. Once you cut up the vegetables and everything else in the salad, the lettuce starts to turn brown and the tomatoes get mushy and all kinds of nasty things happen. John Williams: And it all starts getting warm and things really go crazy. Paula Williams: Ew, yeah, exactly. So soggy croutons and horrible things. The same sort of phenomenon happens with our prospect. Not that the croutons get soggy, but this person has been really, really interested in a particular topic, but now he’s on to something else, right? And it could be that he was really, really interested in learning to fly but now he’s discovered another career path. Or that they were really interested in marketing their aviation products or services. It should be a lead for us, but now they have found a competitor in their off doing something horrible that isn’t going to work for them [LAUGH] . John Williams: Or filled out the form? Paula Williams: Yeah, about one business day. And this is business to business. So this is not, if this was a retail situation and some when we’re looking for a prom dress or whatever. They’re off that same afternoon at five other stores. But in a business to business situation, usually you have a good business day to get back to them. And we just don’t have the man power to respond to every call. As it happens, so we try to respond within 24 hours or one business day as much as possible just to reach out, let them know, I appreciate you reaching out to us. Especially if they’ve left us a message or something in particular and not just requested our tip sheet, right? John Williams: Yeah, because we have an amazing amount of inbound leads now. Now that you’ve got everything put together and in place and running for a couple of years. Paula Williams: So my first move will be to try and call them. Most of the time I get voice mail. [LAUGH] Then I can leave a short voice mail saying, I’m just responding to your inquiry. Here’s my phone number, let’s try and get in touch. John Williams: By the way, you need to be prepared for the voice recorder. John Williams: And know exactly what you’re going to say and actually expect it and be surprised when you get a person. Paula Williams: [LAUGH] Right, more than half the time, you’re gonna get a voice mail, which is fine. I also leave an email at the same time and say, I just left you a voicemail. You can respond to either one, whatever is more comfortable, but let’s set up an appointment to sit down and talk about what you need. And that’s my approach, really low key. And it works better than anything that we’ve done in the years that we’ve been in business. In this business anyway, it works really, really well. I do have to reach out and I do have to talk to people, as much as I hate the phone. This is one thing that I do and it works really well. Okay, so let’s talk about the things that you can do. Obviously, you’re not gonna get them on the phone every time. So there are three things basically that we can talk about. There’s more, of course. There’s always more ways of getting in touch with somebody. But the three that are the most common are an email, a snail mail, and a phone call, right? We do all three. And the reason is because more than half the time, we’re not gonna catch them on the phone, but the phone call is the most effective. So I will take that chance, that 50% chance that I’m gonna get them on the phone, and at least be able to set up an appointment to talk to them at some point in the future. And that phone call is almost never an end-up phone call. That first phone call is just a thanks for requesting some information. I don’t know if you’ve got time in the next week or so to sit down and have a conversation. That way, they come prepared, they’re not caught off guard, I’m not caught off guard. I can spend more time researching their company. I can find out more about them between now and then and so on. Paula Williams: The mysterious blue folder, which is actually just an information package about our company. Just some general information about the products that we offer, some testimonials from customers, a DVD of a movie of a customer talking about his experience with us. And some other things in there that a new customer would probably want to know, right? John Williams: But it’s well-designed and rather, I guess, understated elegant. John Williams: You want all bases covered. Paula Williams: We want all bases covered, and because sometimes that’s the easiest and quickest way for people to respond to us. John Williams: We also occasionally, rarely nowadays, get a fax. Paula Williams: Yeah, almost never, but very occasionally we will get a fax. So like I said, there’s always one more thing that you can add to this. But these three at least, there is no reason if you’re like us in a business-to-business situation, then there is no reason not to just do these three things. Paula Williams: You can do all three within ten minutes. And if you’re getting less than 100 inquiries a week, [LAUGH] it’s fairly simple to just knock off all three pretty quickly. And this is really the most important thing you can do to grow your business is making sure that you’re responding to all those inquiries, right? Paula Williams: Okay, cool, so why does the phone work? Why is it the most effective thing on that gradient we just talked about? John Williams: Cuz you’re talking to a person. Paula Williams: Right, I mean, you can respond real time to their questions. John Williams: And you can get a sense through the tone of voice of their belief, disbelief, or questioning, or are you sure? Paula Williams: Exactly, there’s a lot more information carried in your voice than there is in any kind of text, or even a movie where they know you’re not talking directly to them. So making that person-to-person connection in an industry where there’s a really high trust industry, there’s just no better way to do that, and no more efficient way to do that, right? And here are the reasons that we don’t wanna do it, [LAUGH]. And I get it, I do. I don’t like making phone calls. In fact, up until about a year and a half ago, I did not make phone calls and our business suffered because of it. We somehow struggled through with marketing, but it is so much more effective when you combine marketing with phone calls, okay? So the reasons that you don’t do it is procrastination. I’ll do it after lunch. I’ll do it at the end of the day. My gosh, it’s the end of the day. They’re on the east coast, they’re already gone for the day. And I have manged to successfully procrastinate all day about that one customer. But what you need to understand is, and this is something that a customer told me, I thought this was really good. He says, you wanna perform the tasks every day. If you’ve got a list of tasks that’s gonna be more than you actually get to, which we all do, right? You want to do the tasks that are closest to the money first, right? John Williams: That makes sense. Paula Williams: Yeah, so if you’ve got a bunch of things on your plate, one of them includes fixing something on your website, or updating a piece of technology, or sending an email, or whatever. You know that the most effective thing that you can do is make the phone call, right? Paula Williams: That’s the closest to the money. That is the most effective way to get a sale in the shortest amount of time. So that kills the procrastination thing for me if I go, okay, what on my list is the closest to the money? It’s almost always the phone calls. So we got those done, and out of the way. And then I feel better for the rest of the day cuz I did them, and I don’t have to do them any more, right? John Williams: [LAUGH] Till tomorrow. Paula Williams: Okay, number two is rationalization. And we have had customers twist themselves into pretzels telling us that a perfectly qualified lead, or a perfectly fine lead, or a lead that actually does result in a sale was not qualified. And they’ll tell us, they had the wrong area code, so they’re from the wrong part of the country. John Williams: Nobody knows where an area code comes from. Paula Williams: Yeah, people can buy an area code from anywhere. Paula Williams: We have an office in Nevada, and we spend not a whole lot of time this year anyway, in Nevada. But that 702 area code sometimes throws people off, and they think, of course, you’re in Nevada. John Williams: Yeah, we recently, well, a year or two ago, got a phone and I requested a specific area code and they said, no problem. John Williams: So, they gave it to me. John Williams: Sold it to me. Paula Williams: Besides the fact that a lot of our business comes from national and international customers, and even if you have a local business like a training organization, there are people who will come to you rather than get training where they are especially international flight training nowadays. There’s a lot of folks who will come to the United States for training. John Williams: Because it’s the best they can find. Paula Williams: Because it’s the best they can find and it’s actually cheaper to fly here, train here, and fly home than it is to get training where they live. So they’re not unqualified just because they’re not from here or don’t have a local area code, right? Paula Williams: Okay or country code. Other ways of rationalizing, maybe they’re using a Gmail or Yahoo email address. There’s a lot of people that do that who are professional folks. John Williams: Yeah, fewer and fewer of them because they’re realizing that’s also portraying their company. Paula Williams: Right, but if they’re just requesting information from you they may not want you to know what company they’re with yet. So it may be the CEO of a big company that’s using their Gmail address because they don’t really want you to have that information yet or they don’t want it going through the corporate channels. They want it to just come to their cell phone and they’re just trying to simplify things for themselves. So that’s a perfectly fine lead, that has a gmail or a yahoo.com on the end of it. So there’s a lots of ways that you can rationalize and say, well, they didn’t gave me a first name, they just gave me an initial, okay? John Williams: So Mr. T Rowe, how are you doing? Paula Williams: T Rowe Price, yeah, exactly. It’s really common that people use an initial rather than a first name. So there’s lots of reasons that people will rationalize that a lead isn’t qualified when really it is. Every lead is qualified till you prove it’s not. Paula Williams: Okay. And the third is just trepidation. So procrastination, rationalization, and trepidation, we’re going with the poetry today. Fear of the phone, which we’ve been talking about all day. And just like any other human behavior, it can be overcome by doing it honestly. I’m probably the worst example of that that you’ve ever seen and I still make several calls a week. So it can be done. Paula Williams: Exactly. And sometimes actually after that first 15 seconds, I enjoy phone calls. It’s that first 15 seconds that causes all of the trepidation and stress. And once you get pass that, no big deal, right? Paula Williams: Okay. Cool. So we do have a free tip sheet about sales calls. 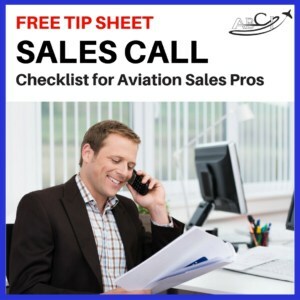 Our Sales Call Checklist for Aviation Sales Pros that you can download from our website which is guess what? A lead magnet. [LAUGH] So if you download that, that tip sheet and you do include a phone number, you can expect to have a call from me within 24 hours and you can see how this works in person. So it’s a live example. And I promise not to be frightening. I’m probably more scared of you than you are of me, but that’s okay because making connections with this industry is what, this is really all about. Nobody succeeds alone, right? Paula Williams: I had a day yesterday which was kind of a luxury for us nowadays and that was to just simply work and write all day without having any meetings or interruptions or anything like that. And a lot of folks in the aviation industry, especially the engineers and other kinds of folks, love working that way. But the reality of doing business these days is that you will not have any work to do unless you have relationships with people, AKA customers and partners and suppliers and so on. So this is a really, really important part of your business and you really can’t ignore it no matter how much you would like to, right? John Williams: Alive and well. Paula Williams: Alive and well, exactly. Okay. 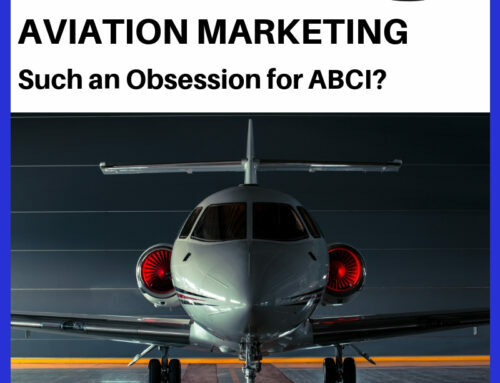 So big ideas from today’s episode, outbound sales calls are sometimes, as in usually, necessary in the aviation industry. As in almost almost, I think we could say. 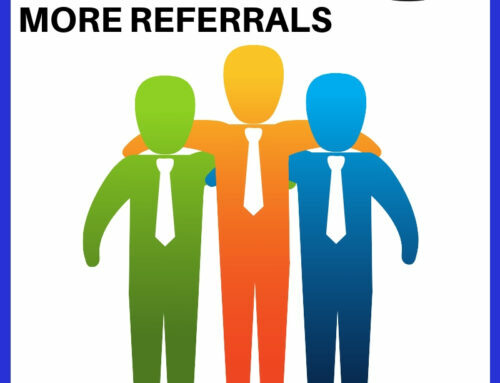 Paula Williams: Yep, they gave you some lots of resources for taking care of that, the LinkedIn prospecting tip sheet and also just a simple Google search of any name, email, and phone number will give you something that you can work with or a search on any social media that you are comfortable with. Will often give you something that you can work with so that you have some information about that person. And the third thing, don’t be scared. Be prepared. Right? Paula Williams: Okay. So thank you for joining us and do subscribe to our podcast, on iTunes, Stitcher, or Google Play, wherever you find podcast are distributed, right? Paula Williams: All right. And also please do leave us a review. That is how more aviation people find us and stop doing randomized of marketing or bad marketing that cost them money and hurts the industry, right? John Williams: Absolutely. We all need it better. Paula Williams: Yeah, we all need to be better. [LAUGH] There’s a quote from Jim Rohn. Don’t wish it was easier, wish you were better. Paula Williams: Yeah. So if it were easy everybody would be doing it. We can’t have that. Paula Williams: All right. Have a great week. And we’ll see you later.